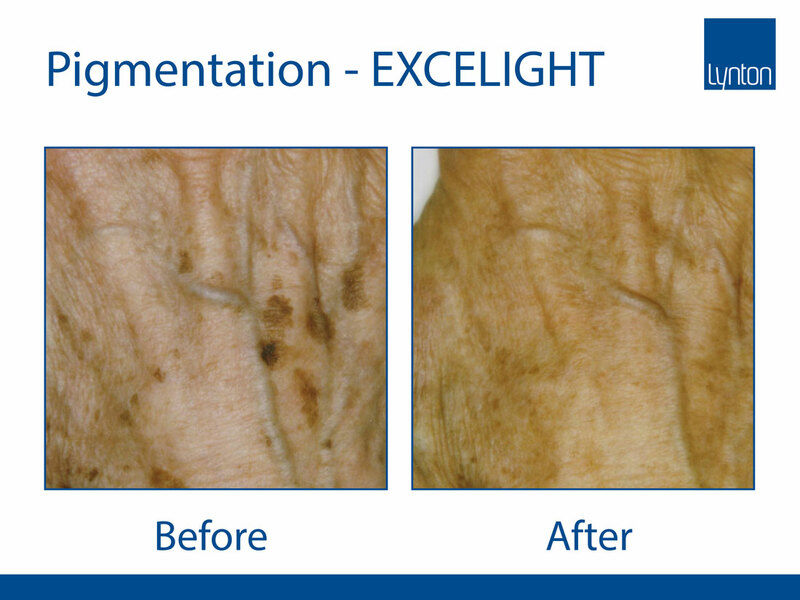 Pigmented lesions such as age spots or freckles can be successfully lightened or removed with our EXCELIGHT (IPL). All of these treatments are non-invasive, suitable for both the face and body, and will result in a more even skin tone. Sun spots, liver spots, freckles and other unwanted pigmentation are often associated with skin ageing and over exposure to the sun or sunbeds. From the age of about 40 the skin is less able to regenerate from sun exposure and age spots start to appear. Generally these age spots pose no health risk, however they can be unsightly and create a patchy, less youthful appearance. Freckling and age spots are successfully lightened or removed with Intense Pulse Light. IPL or Intense Pulse Light skin rejuvenation and pigment removal treatment is a relatively quick and easy procedure. 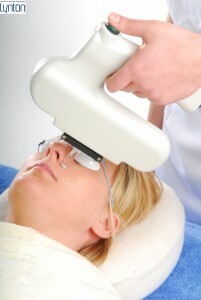 Age spots and freckles can be lightened or removed in as little as one to three treatment sessions. Light is released in short pulses that are readily absorbed by the high concentration of melanin found within pigmented lesions. The rapid absorption of light energy heats the melanin and causes the destruction of the melanin-rich cells. Most people are suitable for treatment except for very dark skinned or tanned individuals. However, large, dark, mottled or raised pigmentation cannot be treated and may need to be checked by a dermatologist. Large, dark moles should not be treated, nor should lesions covering a large part of the body. The pigmented marks that respond the best are superficial lesions such as those caused by sun damage (sun spots) and freckles. Most patients describe the discomfort as mild and tolerable and no anaesthesia is required. The treated area may feel warm and sensitive for the first few days post treatment. The lesions may darken and may appear more obvious before they fade and ‘flake’ away. Sometimes an initial whitening of the area is seen, which quickly fades and the pigment gradually fades over the following few weeks. The skin that surrounds the pigmented lesion may become red immediately after treatment. Most people experience no other side effects and the redness usually disappears within hours to a few days. Very rarely a small blister may form or the skin may become temporarily lighter or darker. The light applicator is placed on the skin and a short pulse of light is released. The applicator is then moved to the neighbouring area and the process is repeated until the entire area is treated. With Q-Switched Laser treatments due to the power of the Laser energy delivered into the skin, a small amount of pinpoint bleeding may occur during the treatment, and a dressing may be applied after the treatment to protect the skin while it heals. During treatment protective eye wear will be provided. Prior to treatment you must first undergo a consultation where details about your medical history are obtained in order to confirm suitability. Before proceeding you will be asked to sign a consent form and undergo a test patch. Courses of 3 sessions are recommended for the most effective results.